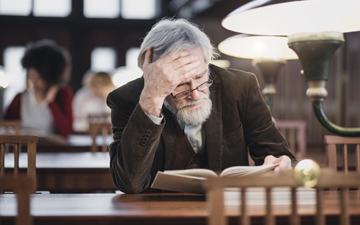 TORONTO – The designated professor of accounting may soon be on the list of endangered species, according to some accounting academics, who are Chartered Professional Accountants. “The nirvana of hiring a professionally qualified accountant with a PhD is slipping into the distance as the technical requirements of each credential increases,” says Professor Alan Richardson, FCPA, FCGA, the Odette Research Chair at the University of Windsor. Complex market forces and government policies are putting pressure on Canadian post-secondary institutions (PSIs). Now, a new study published in the June 2017 issue of Accounting Forum, laments the loss of a “golden age” of designated professors in the UK, providing a cautionary tale for Canadian accounting academics. The trend has ramifications for the accounting profession. “In accounting, we see fewer research papers on mainstream accounting areas such as accounting standards, tax and audit and more in areas such as critical accounting,” says Catriona Paisey. Topics relating to investments and stock markets tend to be popular for PhDs, as they lend themselves to quantitative approaches, and there is a danger that professionally focused parts of the accounting field will come to be viewed as of lesser status. Adds Paisey, “We also interviewed some heads in medicine, law and architecture. Those heads reported the same trend [in similar disciplines], so it seems that the shift from practitioner to researcher is happening across the university.” The funding model has influenced recruitment preferences, placing more value on the potential of candidates to publish rather than teach. The alternative approach, says the study, is to develop academics with both professional and PhD qualifications. Many department heads would prefer to hire the “hybrid academic,” a professionally qualified recruit who then develops research capacity, but lack the autonomy and flexibility to achieve this in practice. Salterio says, however, there’s a interesting subtext to the study. “Should education be done by PhDs, or by designated accountants, or both? In some ways, it depends on what is thought to be the role of university education in the creation of a young professional accountant.” These choices can lead to different emphases in a student’s education. Nainar, Richardson and Salterio all agree that the situation is a complex one, and it may become more challenging in the future. In Ontario, the provincial government is undergoing a consultation period on a new funding model and “differentiation framework” after years of “mission creep” and homogeneity among provincial PSIs. Tomorrow: Canadian accounting professors concerned about academic differentiation. Colin Ellis is the editor of Canadian Accountant.